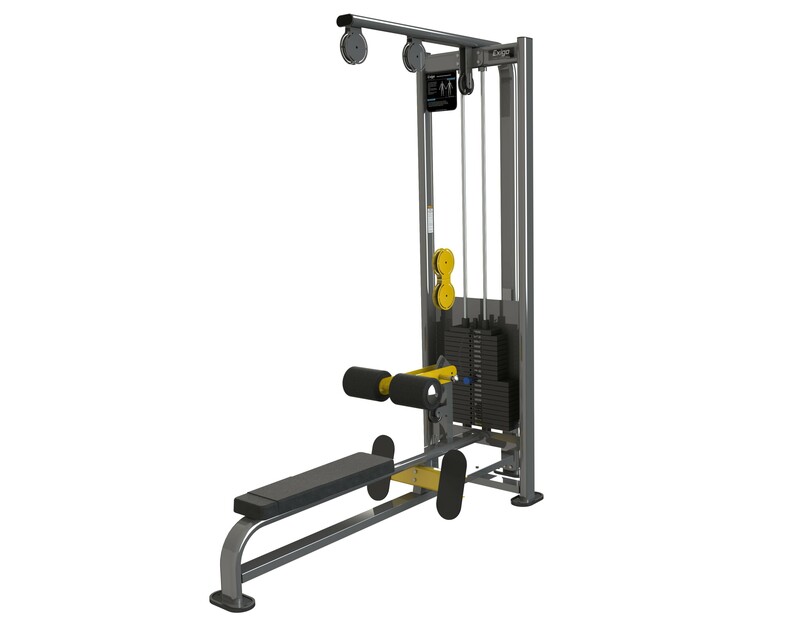 The Exigo Lateral Pulldown/Low Row Combination is one of our most popular dual-function machines. Part of our exceptional selectorized upper body range, used for strength training. This machine will help you achieve optimum results, intended to target and strengthen the muscles in your back, chest and arms, this multi-function machine offers variety for your workout. Built using only high quality components this machines smooth movement makes working out a pleasure. Ergonomically designed the positioning of the overhead cable isolates the lateral muscles and creates a superior downward pulling exercise. Furthermore the comfortable adjustable pads help keep the user secure whilst the large aluminium footplates keep the user stable. This professional piece of gym equipment is an effective, fun and safe way of working out and reaching your goals, whether you’re a complete beginner or seasoned athlete. Perfect for any commercial gym, home gym, or training facility.